“A Girl Like Her” follows the friends and family of a teenage girl, Jessica Burns, and their reactions of Jessica attempting suicide. During this tragic time, a documentary filmer, named Amy, wants to record the school to capture the average public school experience. She is unaware of what has happened to the community, and shortly after arriving, the filmmaker realizes what has happened and has shifts her angle on her film to follow Jessica’s story. With the use of found footage and a documentary-like style, “A Girl Like Her” creates a dramatic film that captures the average American teen and the hardships that occur in High Schools across the country. “A Girl Like Her” is a sophisticated and emotional drama about America’s teen bullying epidemic. The majority of the film is unscripted making certain scenes and conversations feel like you are in the conversation. One of these instances is Jessica’s encounters with her bully. These encounters are filmed on a pin with a secret camera given to her by her friend. These conversations are genuine and emotional. 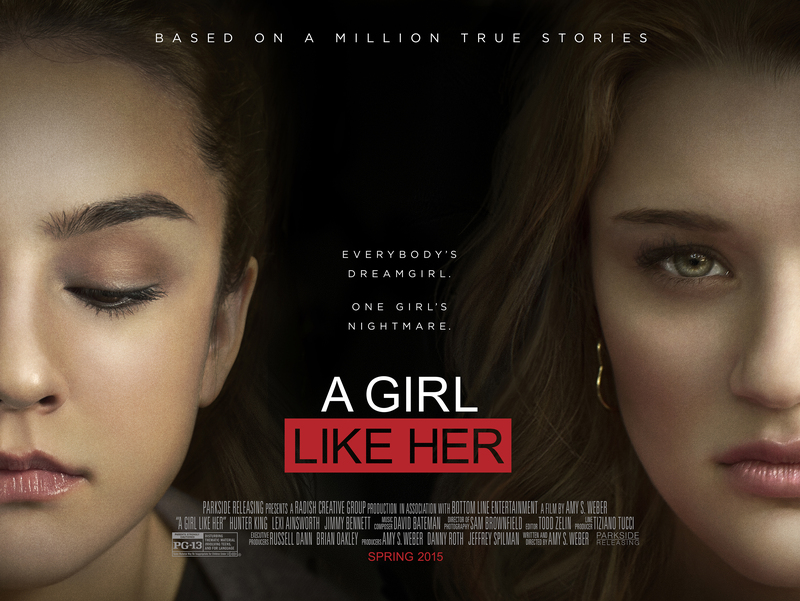 However, many aspects of this movie create inconsistencies in order to further the plot as a documentary; “A Girl Like Her” seems unrealistic in that the filmmaker is able to record specific situations that they would never be able to film in real life. Jessica’s parents give the cameraman permission to record their conversations with the doctors at the hospital pertaining to Jessica. There are many instances of the film intruding on the teens’ privacy. The cameraman hides behind a wall to record Jessica’s best friend talking to a teacher. Not only is this instance an intrusion of the teen’s privacy, but it is also an unrealistic scene. The microphone quality would seem as if you were sitting right next to the teacher. If this was a true documentary and miraculously they cameraman was able to get this shot, the microphone quality would not be that pristine in this type of situation, reminding us that it is a Hollywood movie and not a genuine documentary. One of the interesting aspects of the movie is that the filmmaker is focused more on the bully than the victim. The filmmaker does not want to expose the bully, rather aid her to redeem herself and to become a better person. This allows the audience to not see the bully, Avery, as just a monster but allows the audience to see her side of the story and how this girl struggles with life as well. Although an unrealistic documentary, I believe that this movie captures common issues that many teenagers have to face every day. It creates a vivid picture that your actions have immense consequences.